As an international student in Canada, you may be able to get a job without a work permit during your studies. Canada’s immigration policy extends the opportunity to gain valuable work experience to international students who have chosen Canada as their study destination. 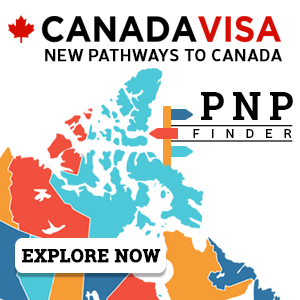 With a valid Canadian Study Permit, an international student may be eligible to work for an employer outside the campus of the educational institution where he or she is registered. Once eligible for off-campus work, international students may work up to 20 hours per week during regular academic sessions, and full-time during scheduled breaks, such as the winter and summer holidays or spring break. If an international student’s situation changes and he or she no longer meets any of the above eligibility requirements, he or she must stop working off-campus. is now studying part-time because it is the last semester of his or her study program and a full-time course schedule is no longer required to complete the program of study. Don't wait, join the Study Hub today! Visiting or exchange students at a designated learning institution. Immigration Refugees and Citizenship Canada (IRCC) considers a student’s full-time status based on the number of hours and credits allocated towards the completion of a degree, diploma or certificate, as determined by the DLI. An international student may be able to work within the boundaries of the campus where he or she is registered in if the student meets specific criteria. On-campus work includes working for an employer located on the campus grounds of the educational institution where a student is studying. An on-campus employer includes the school, a faculty member, a student organization, a private business (located within the boundaries of the campus), a private contractor that provides services to the school, and being self-employed on-campus. International students pursuing a study program at a DLI in Canada that requires a mandatory work placement or internship must apply for a co-op or intern work permit in addition to a valid study permit. Learn more about Co-op Work Permits in Canada. Once the international student graduates, a Post-Graduation Work Permit may be obtained. In some cases, spouses or common-law partners of international students studying full-time may be eligible for an open work permit. Visit our dedicated page for information on the advantages of an open work permit.